If you had to guess the location of the only view in England that’s protected by an Act of Parliament, somewhere in the Lake District would possibly spring to mind, or perhaps the white cliffs of Dover. 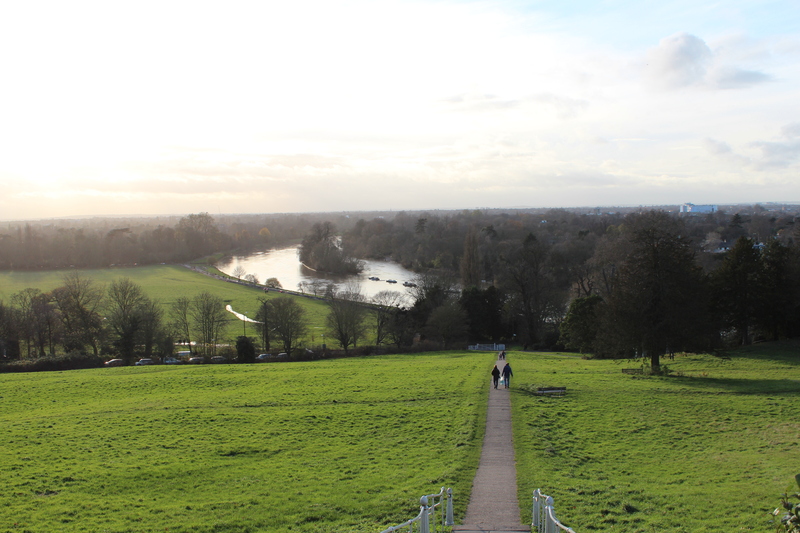 In fact it’s right here in London – the view from Richmond Hill. Sir Walter Scott (Heart of Midlothian) and Wordsworth (Sonnet June 1820) wrote about it, and Reynolds and Turner painted it. 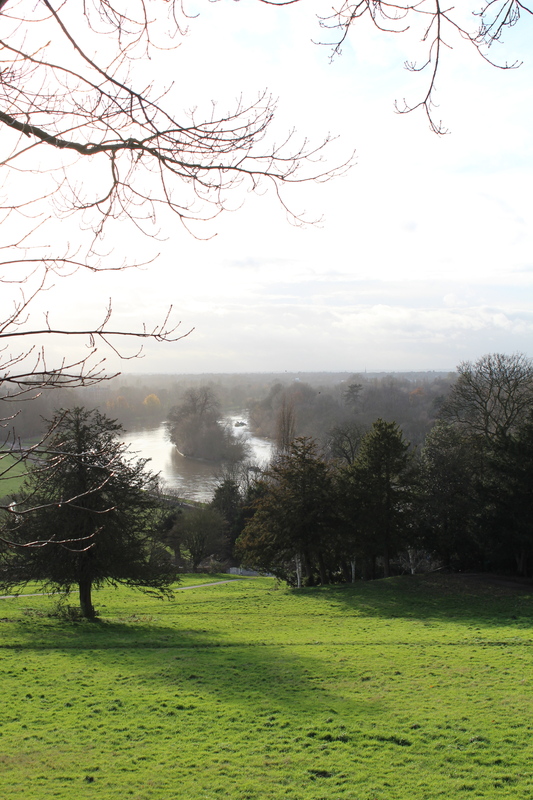 The view from the hill looks up the Thames towards Twickenham, and includes tiny Glover’s Island. And all to be found in zone four no less! Turner – who lived nearby at Sandycoombe Lodge for a number of years – returned to this theme time and time again. 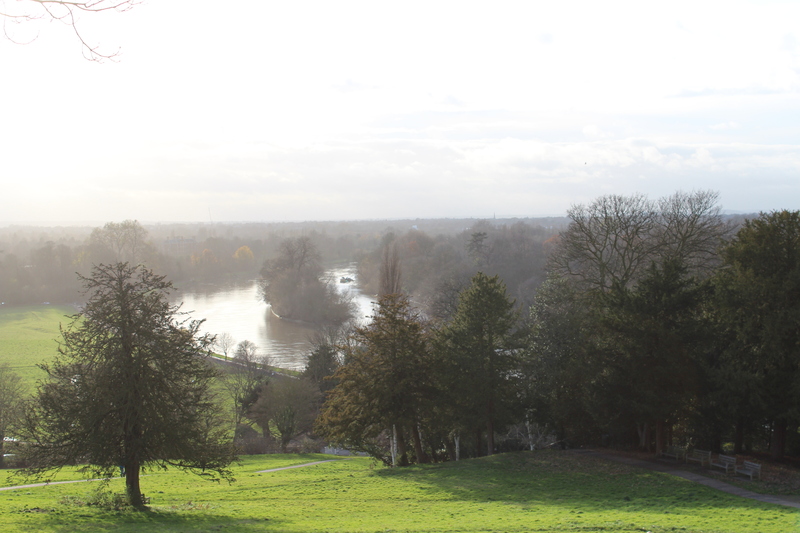 A number of his paintings and numerous sketches show this view, or views of Richmond Hill itself – many of which can be easily viewed in digital format here on Tate Britain’s website. Reynolds lived on Richmond Hill itself – his 1788 work The Thames from Richmond Hill, can be seen here. My photographs of the view were taken from the top of Terrace Gardens, which itself is also Grade II* listed and is on land that was originally three large private estates. The local authorities had been buying up various properties – including Glover’s Island – over the years in order to preserve and protect this area and its view. 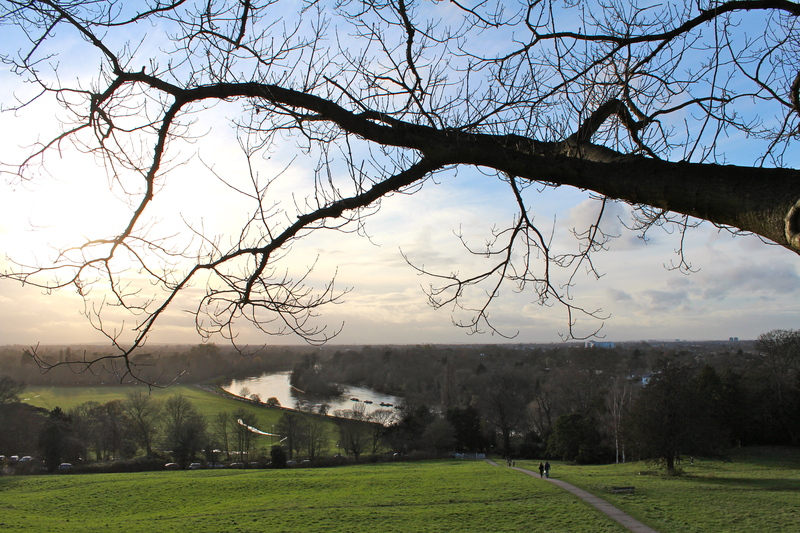 The view from Richmond Hill was officially protected in 1902 by an Act of Parliament known as the Richmond, Ham and Petersham Open Spaces Act. The National Trust took over the protection of the Petersham Meadows (at the bottom of the hill, on the left of these photographs) – and its languidly grazing cattle – in 2010. Nearby: You are indeed spoilt for choice in Richmond and surrounds. 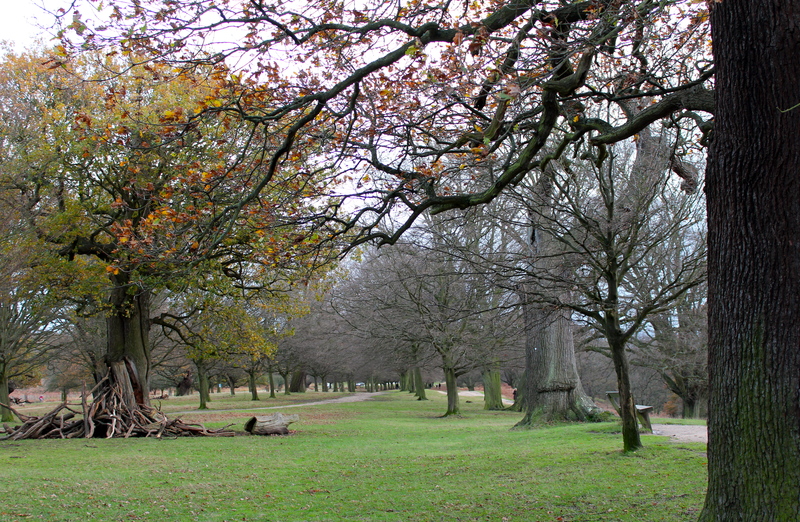 Next to Richmond Hill is the lovely Richmond Park (pictured below), where you can watch wild deer roam and take tea in Bertrand Russell’s childhood home, Pembroke Lodge. Turner’s old house, Sandycoombe Lodge, will re-open for visits on the first Saturday of the month in April 2013. Nearby grand houses include Ham House (open some weekends in winter) and Marble Hill House (closed until late March 2013, but you can still visit its grounds and grotto). This entry was posted in History/heritage, Parks/gardens/open spaces and tagged JMW Turner, London views, protected views, protected views England, Richmond attractions, Richmond Hill, Richmond Hill view, Richmond London, Richmond Park, Richmond sights, The view from Richmond Hill by thelondonphile. Bookmark the permalink. This view brings back such nice memories – my wife and I spent our wedding night in the Petersham hotel – the restaurant is glass sided with that magnificent view. Remembering sitting opposite my wife on our first morning together having breakfast just makes me smile. Thanks for sharing that Carlos! I am indeed already planning a trip to Eel Pie Island this weekend and am very much looking forward to it. Apparently the city of Richmond, Virginia, was so named because the bend in the James River there is very similar to the view of the Thames from Richmond Hill.